Sunlight on the water tells the story of my life. At last the skies cleared and fine weather we had hoped and prayed for settled over the Lake District. It enabled us to film the climax of Arthur Ransome’s adventure set on the high seas of Cumbria. It was the day we went to war. The day the Swallows and the Amazons took on Captain Flint at the Battle of Houseboat Bay. 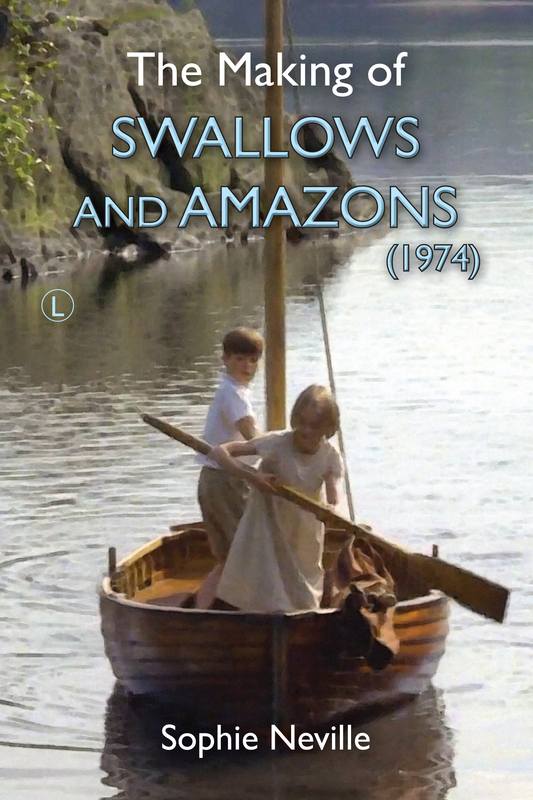 To my everlasting regret, while some of the others managed to yell, ‘Swallows and Amazons Forever!’ my battle cry was, ‘Kill, kill!’ The script was pretty sketchy. I have the original and the re-writes, not that I saw either on the day. Actually filming this was tricky. The entire film crew with all their equipment including two cameras, two huge reflector boards and a second costume for Ronald Fraser, had to be accommodated either on the house boat or other craft on the bay in Derwentwater. It was a squash. The good thing was that by now we were all pretty experienced with the procedure of getting out to what amounted to an inaccessible location with no lavatories – and certainly no room for tea urns. The scraggy looking man alone in a glass fibre boat with a paddle was the chap who drove the mobile lavatories from one location to another and yet managed to persuade the girls of Ambleside that he was producing the film.